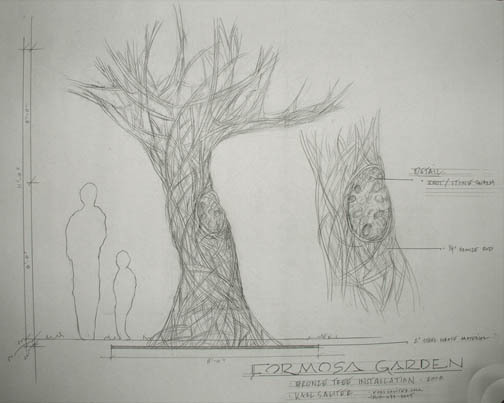 Today I’m getting ready to move forward on this tree form in bronze, for the city of West Hollywood. Once we have final sight plan views from the landscape architects, we’ll produce a site-specific drawing, and begin the piece. to get really flat on mig welding bronze, and find the best procedures and settings for 1/4″ rods. Looking like a September start for this, I look forward to seeing it.